A CVS Pharmacy® gift card is always a great choice. 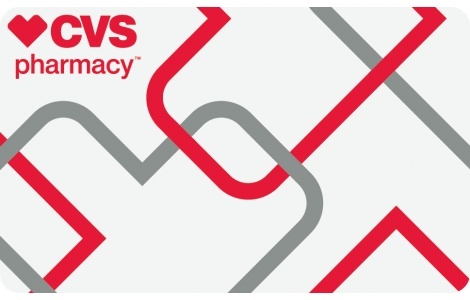 With more than 7,800 locations from coast to coast, CVS Pharmacy is the most convenient place to get the prescription medications and health care products you need. Plus, it provides a huge selection of popular beauty and personal care brands as well as exclusive brands you won’t find anywhere else. CVS Pharmacy gift cards cannot be used on-line at CVS.com® or for any other retailer’s gift card or prepaid card that CVS Pharmacy may carry. Best of all, with the CVS/pharmacy ExtraCare® rewards program, you get 2% back on all purchases* plus $1 Extra Buck™ for every 2 prescriptions filled**. What better way to gift, reward or provide incentive than with the CVS/pharmacy gift card? It can be used at any CVS/pharmacy location and can even be used toward prescription purchases+. National Gift Card is the best place for you to order CVS gift cards in bulk. We are the experts in all things gift cards and can set up your gift card solutions program for you today. Please contact us for more information on CVS bulk, direct-to-recipient, or individual gift card fulfillment for your gift card program. Contact us here or call us at 888-472-8747 today!